A recent report published by Coverys indicates that the majority of medical malpractice claims are lawsuits brought about by patients whose diagnoses were missed by their doctors. While not every missed diagnosis rises to the standard of medical malpractice, diagnostic error resulted in more claims than any other kind of medical error, according to the report. According to the study, one-third of all malpractice claims were related to errors in diagnosis with roughly half of those claims the result of poor medical decisions made by the attending doctor. Some diseases and illnesses can be quite difficult to diagnose, especially when the condition is rare, asymptomatic or indicative of another illness. As a result of these things, and others, we cannot require physicians to get it right 100% of the time. To the contrary, the law requires the physician to do what is reasonable under the particular circumstances that are present for the patient. Physicians get busy, they fail to listen to their patients, results from imaging and other lab studies are not conveyed or considered and people suffer significant injury and even death as a result thereof. We cannot ask physicians to be perfect, but we do require them to do their job with a reasonable level of attention and diligence. The failure to do so often has major consequence. 33 percent of misdiagnosis lawsuits occurred as a result of the doctor failing to properly evaluate the patient. 52 percent of misdiagnosis lawsuits occurred as a result of failures in lab testing. Of the 52 percent of lawsuits that occurred because of an error in lab testing, doctors either ordered the wrong test, did not perform the test properly, or failed to interpret the results correctly. Any of these circumstances could well justify a case of medical negligence entitling an aggrieved party to recovery. Whether due to financial constraints, excessive busyness, attempts to save money, poor training or otherwise, understaffing plays a large role in misdiagnosis cases. Coverys recommended a team-based approach to diagnostics. 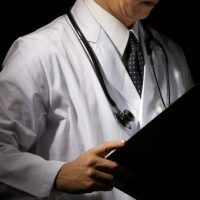 The report concluded that creating an environment in which doctors were able to discuss their case openly with other clinicians was found to be a key component for preventing diagnostic missteps in the future. Has a Missed Diagnosis Resulted in an Injury to You? Doctors may be human, but humans are accountable for their actions. If a doctor’s mistake has resulted in an injury to you, you may be entitled to damages. If you think you have a case, The Palmer Law Firm, can help you get the restitution you deserve. Contact us and we’ll begin discussing your case immediately.